It’s basically the job of younger siblings everywhere to be weird and nosy. I turned in the key at my now-former job today. I already feel a lot better emotionally. I am taking commissions to cover my living expenses until I find a new job. If you’re interested in getting some custom art from me you can find samples and a price list here. 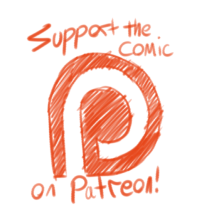 Or if you’d like you can back me on Patreon. Don't you jjust st HATE this? Gdi these two are cute. aaaw so cute, its great that they (cant remember what Reis people are called) blush green. Aaaah everything is so adorable! I love Rei clutching Milosh's head in the third panel. And I'm trying really hard not to think about Rei being single and gloomy in the future! Milosh's nose just gets more and more flaccid. I am reminded once again that Nami is adorable.